I have always tailored meals to my 9 kids and what they are willing to eat as well as what they like. I had a bakery of sorts on one of the compounds in Riyadh, made sweets for a very wealthy man three times a week, had dessert nights with lady friends on the compound, but the most fun and rewarding cooking has always been for my kids! 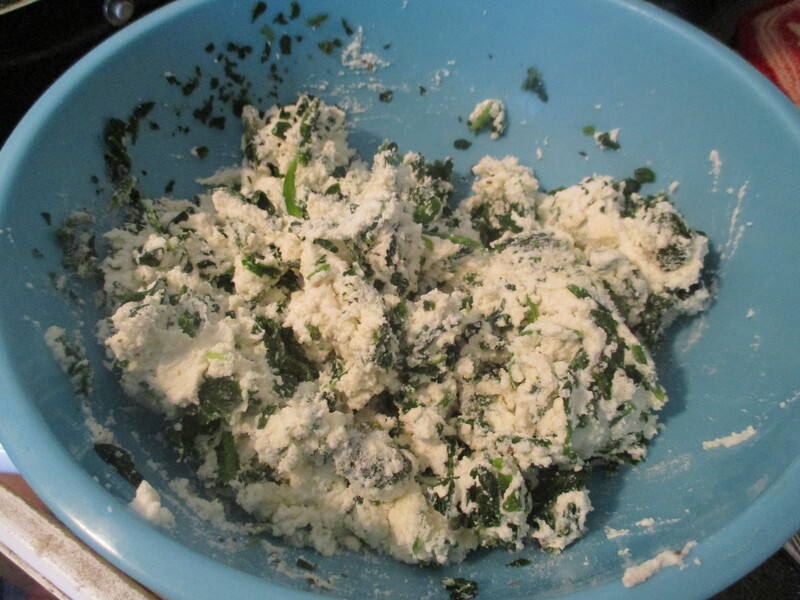 So I am always trying to create new and different recipes or tweak ones so that they will like them. 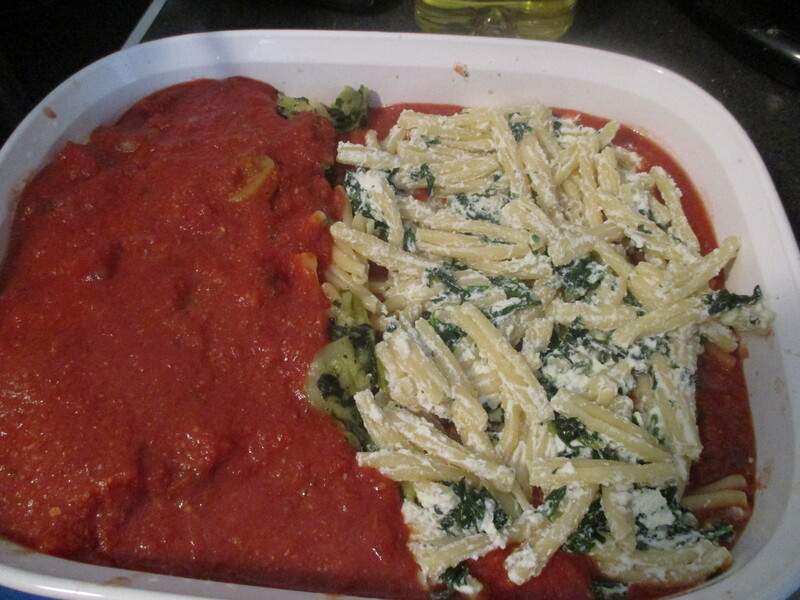 While comfort food for the kids tends to be rice and some type of Arabic food, they also love pasta. 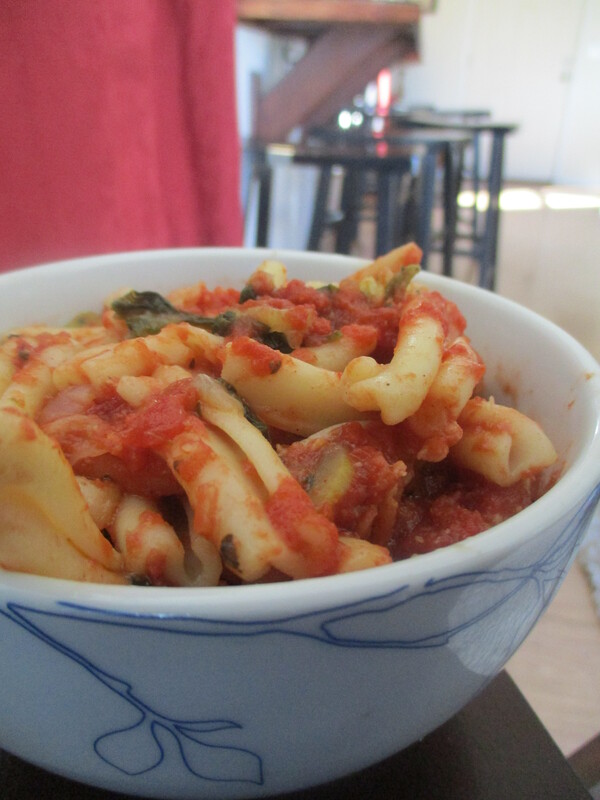 So, this pasta with homemade Marinara sauce, ricotta and layers of vegetables is a big hit with the kids! 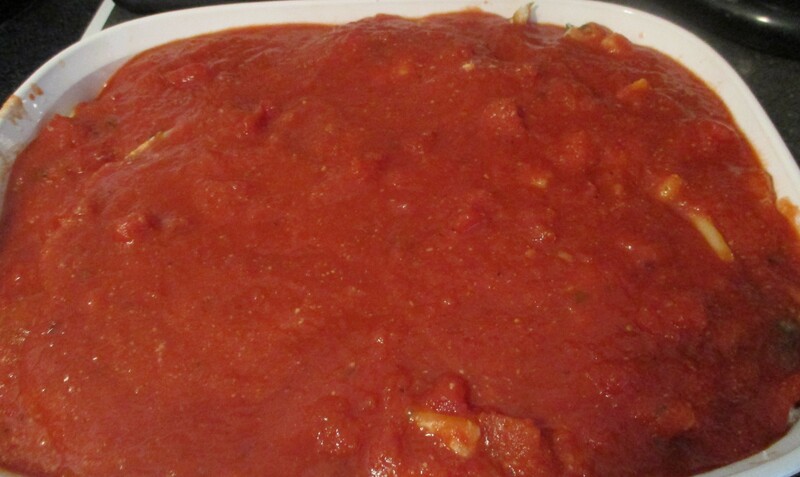 After you read this recipe it might occur to you that this seems like lasagna, well it is! 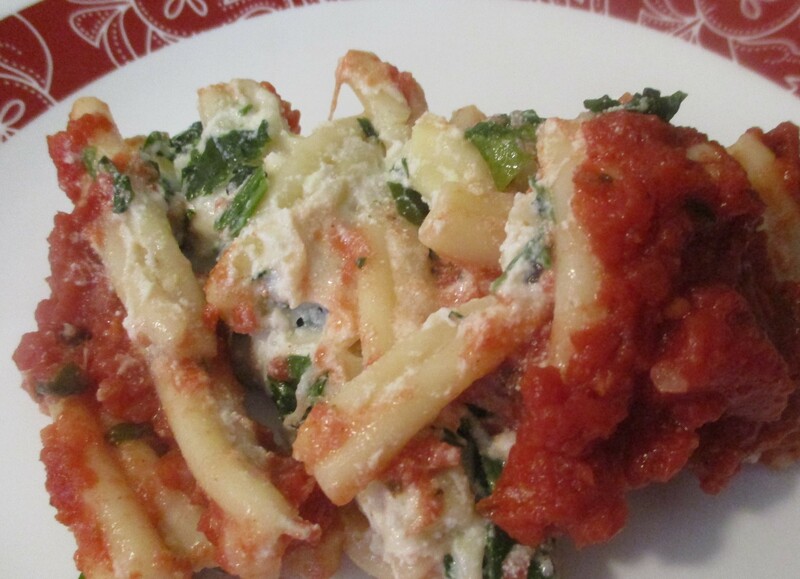 I find I can add spinach and more vegetables and call it pasta bake, the kids love it and don’t question the vegetables much! Boil the pasta until done, but firm, drain. 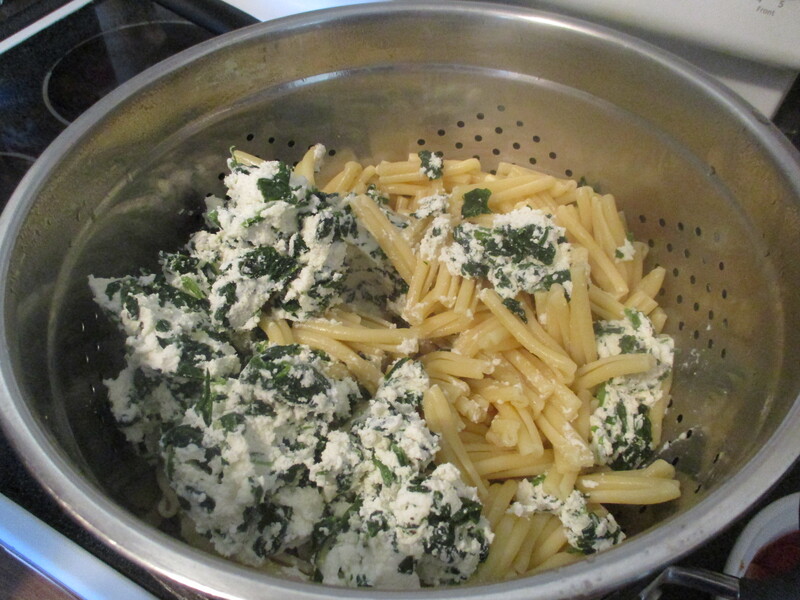 Mix pasta with ricotta mixture. Saute onion in olive oil, add zucchini, salt and basil. Cook until soft. 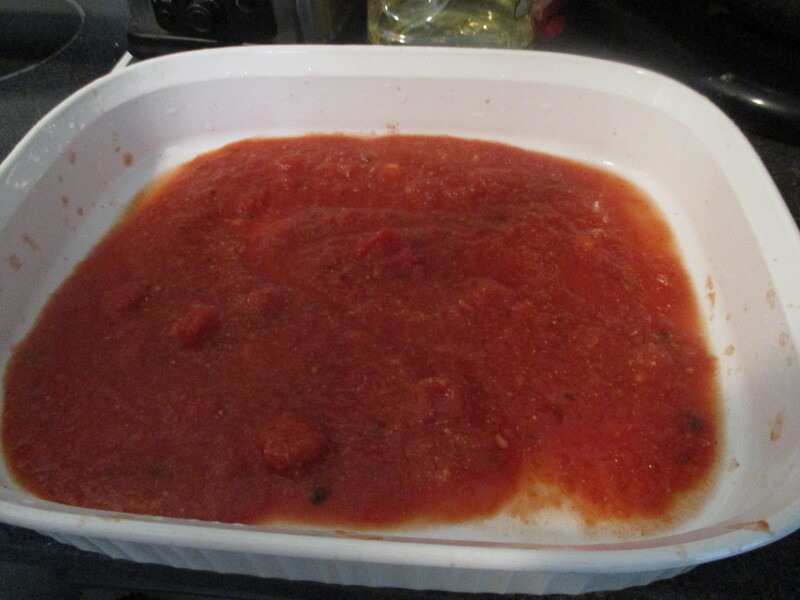 In a 9X13 ovenproof pan, pour enough sauce to cover bottom of pan. Top with a layer of vegetables, sprinkle a little mozzarella cheese, continue layering pasta, vegetables, cheese and sauce. 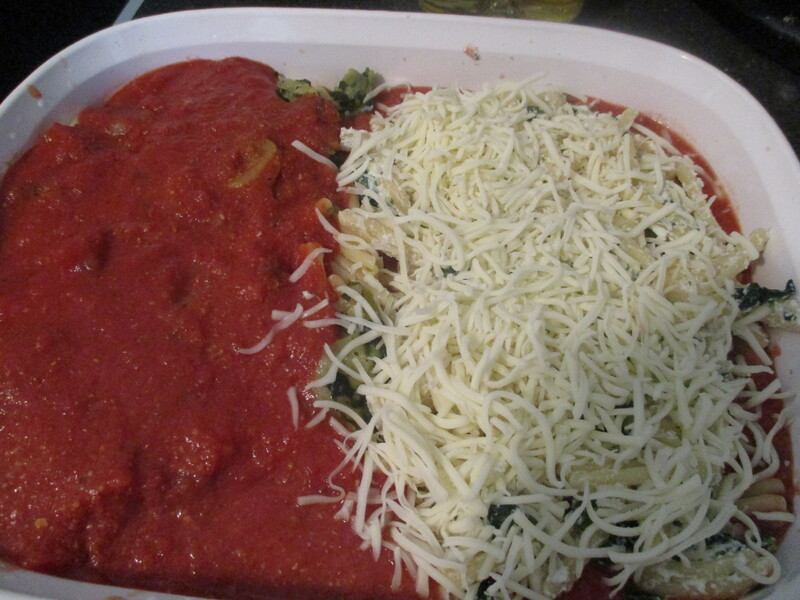 One half of this pan is no cheese that is why it looks different! Cover well and bake for 30 minutes. Remove from oven and serve.